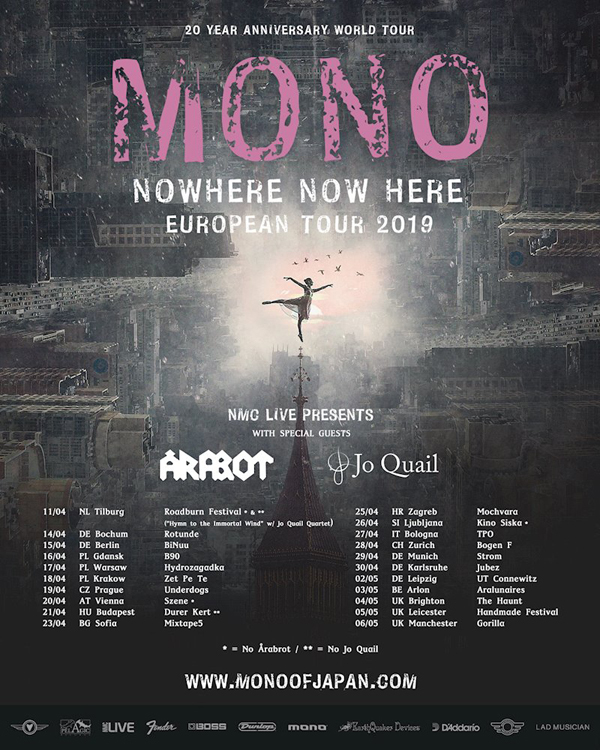 Having completed a successful European tour in 2018, including an appearance at the Meltdown Festival curation in London at the personal invitation of Robert Smith, Japan’s Mono celebrates its 20th anniversary in 2019 with a new album, titled Nowhere Now Here. 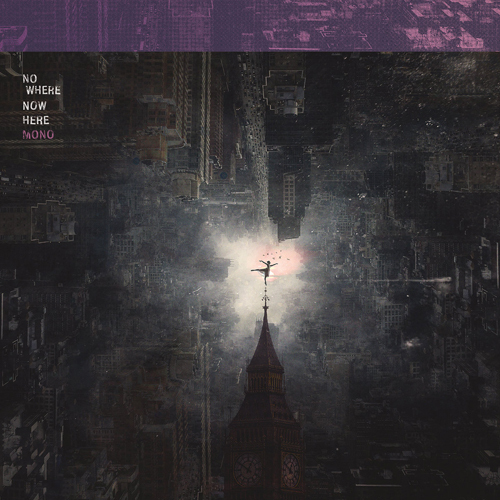 Due for release on January 25 via Pelagic Records and Temporary Residence Ltd., and recorded with the legendary Steve Albini, Nowhere Now Here sees the band further expanding its post-rock sound with a heavy dose of dark electronics, partially inspired by guitarist Takaakira “Taka” Goto’s recent collaboration with Chicago drummer/keyboardist John McEntire. The album also sees the band adding drummer Dahm Majuri Cipolla of The Phantom Family Halo to round out the core trio, wherein Tamaki makes her vocal debut on the “Breathe” single. The latest single from the album, “Meet Us Where the Night Ends” can now be heard on YouTube, while Nowhere Now Here will be available in CD, digital, and vinyl formats, all of which can be pre-ordered on the band’s website. In addition, the band will be conducting a European tour with Norwegian art rock act Arabot and cellist Jo Quail. The tour begins with an appearance at the Roadburn Festival on April 11, continuing until May 6 in Manchester, UK; a full listing of tour dates can be found on the band’s website. 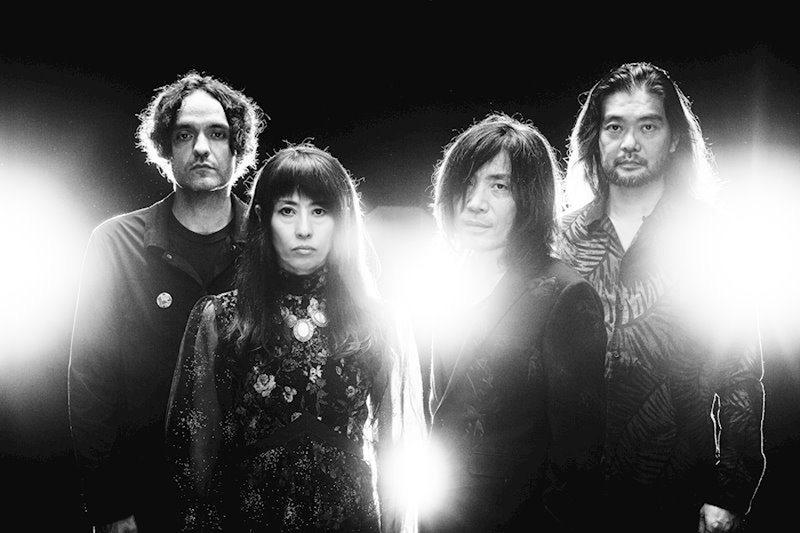 Mono also recently collaborated with French director Julien Levy on his short film After You Comes the Flood, which was inspired by material written for Nowhere Now Here. Taking place in a Tokyo laundromat, the short revenge tale borrows elements of independent Japanese thrillers with a touch of Alfred Hitchcock, with Mono appearing in the form of the “Breathe” music video.